Meitu – a Chinese manufacturer that is best known to the world for its beauty applications and its selfie smartphones. 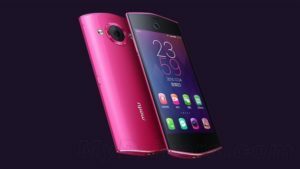 The company has recently announced a new selfies phone called the, Meitu M4 Smartphone, it is the successor of the previous model M2. The Meitu M4 selfie phone brings back with the vibrant and beautiful looks, premium feeling indeed, with a slim metal frame and captures outstanding pictures. The smartphone features a 4.7 inch HD IPS OGS display screen with the resolution of 720 pixels and could feel you how elegant and immersive the phone is. The phone is protected by the Corning Gorilla Glass that prevents your phone from screen damage. The frame is made of aviation-grade alloy and features a stainless steel sheet with nano-molding plastic. The dimensions of the smartphone are 147.5mm × 66.2mm × 8.99mm and weighs at 150 grams. The back side of the phone is made with thin metal cover, and placed a rear camera with an LED flash and an external battery compartment which is removable. The smartphone runs on Android 4.4 KitKat based on MeiOS 2. The lack of a 5.0 Lollipop operating system update is a real disappointment, and it does not seem like the company plans to roll out the latest OS. 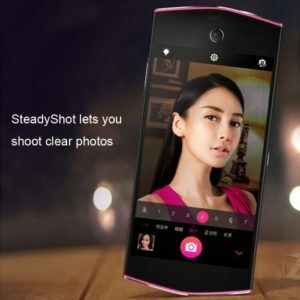 The smartphone is powered by the MediaTek 6752 chipset with a 64-bit octa-core processor. It has no Snapdragon processor, but the smartphone easily powers through all the processing tasks it was designed for. The phone also performs well while gaming, without a shutter to speak a during testing on a handful of 3D games. For the graphic processor, there is an ARM Mali T760 GPU. Under the hood, the smartphone packs 2GB of RAM along with the 32GB of internal storage. Unfortunately, there is no SD card slot present in the mobile. The smartphone packs a 2160mAh battery inside and comes with a micro USB port for charging and data transfer. Other features included Bluetooth, Wi-Fi, and a 3.5mm audio jack. The phone is also comes with Meitu photo editing app and photo enhancement app.